Lumitron offers custom PolyVision Optical Fitler Rails for LED strips or arrays used in various multi-color displays such as edge-lit or back-lit AMLCD displays. This can be a cost-effective method for NVIS or other Mil-Spec radiance/color compliance. 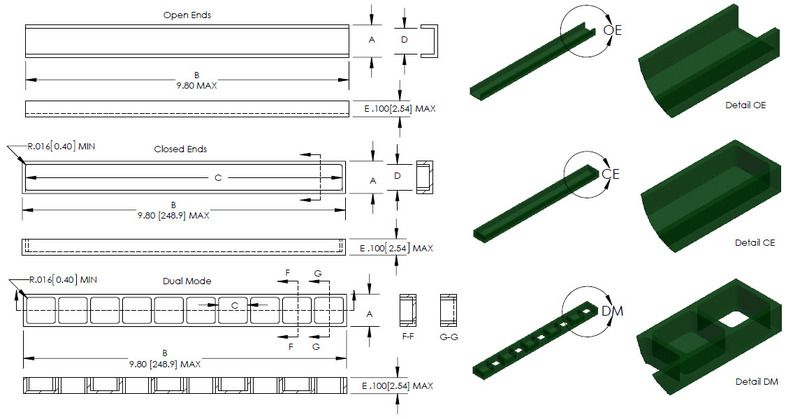 We typically design and produce custom optical filter rails with no non-recurring engineering charge. Contact us with your spectral and dimensional requirements.